Nancy’s poetry readings are often accompanied by musical instrumentation such as keyboard, mandolin, Celtic harp, violin, and guitar. 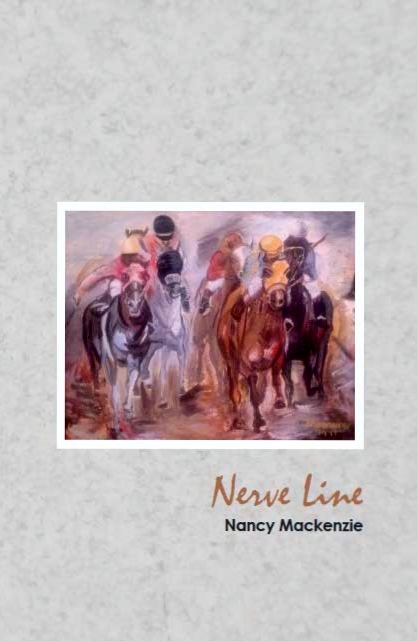 Nerve Line is a poetic and painterly view of the world of horse racing. It includes a touch of true history, a dose of magic, and a palette full of surprises. The novel will settle you on your porch swing, then take you through the lush Irish countryside and out to the Rocky Mountains and ranchlands for a spell. For some, the beauty of Juniper Glen Farm comes from the rolling hills on which broodmares and foals graze. For others, the spirit of the ranch is found in the thrum of hooves on the homestretch at the racetrack—but only when the horses are winning. Lineage, of course, matters. And Gran understands that there are horses that can make or break Juniper Glen’s success: an Irish thoroughbred colt named Kilfenora, for one. It’s just that her daughter, Mary, has a history of sacrificing anything to win. Granddaughter Kathleen may be the only sensible soul who can balance the ranch’s odds on and off the track. Or would have, if Myles hadn’t galloped right at her heart. When Kathleen paints Myles, he takes on an otherworldly dimension, bringing her art to a fascinating new level. Meanwhile, her ex-fiancé wants both Kathleen and his prized Kilfenora back—and will cross the ocean to do so. Kathleen’s heart divides between family loyalties and personal integrity; between her mother and her gran; between two capable and vibrant horsemen. Nerve Line pulls taut at these imbalances. Nerve Line brings together land, art, and animal in a western mythology- and this it does – in service to the horse. Nancy, I loved the mystical tie-in of the mountains, foothills, horses, spirits, Ireland, love, and expression through art/painting. You did a fantastic job of interweaving all the characters, kept the story on trajectory. With so many interesting characters it would not have been hard to veer off. At the end of the book I was completely satisfied, I so enjoyed learning more about horses in Alberta, living in the locations, and especially the gentle, steady love that Myles had for Kathleen. Isn’t that what we all dream of? Thanks for writing this book. Congratulations, well done! 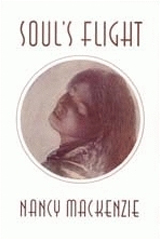 Communion continues the spiritual and philosophical explorations of Soul’s Flight and The Illuminated Life by playing chords, taking down dictation from the muse, imagination and soul––through old and emerging disciplines––to feel resonance not only with ancestors’ dreams but also with the poet’s place in the world. In doing so, Communion recognizes ancient doctrine in modern faiths. The poems reach for the divine by charting the soul’s migration from willow fen to farmyard, out to the cosmos, back in through the Earth, to a raven or mountain for voicing again its search for communion with the divine. 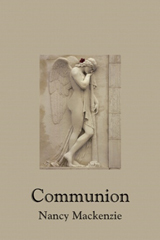 The poems, inspired and helped along by Augustine, Gregory of Nazianzus, archetypes, and shamanism, bring more than wine and bread, blood and body to the practice of communion. Through free verse, sestina, and glosa, Communion is a river, a tête-à-tête with the dead, a watchman at the gate, a horse, and an image of the world where words build a bridge––corpus pontiflex––between God and humans. The Illuminated Life is a fresh and original sequence of poems that sheds light on the inner culture of human experience. Fred Wah writes, “Nancy Mackenzie breathes into poetry a philosophy of is-ness that is refreshing and renewing.” In The Illuminated Life, Nancy Mackenzie reflects upon the nature of the sacred and the secular, holiness and wholeness. The poems of this strong second collection are at once personal and universal, both mythic and meditative. 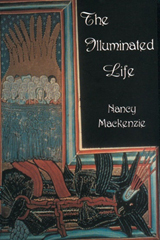 Nancy Mackenzie’s authentic poetic voice bears witness to a spiritual essence hidden within the quotidien. Inspired by a penchant for Neoplatonic philosophy, Soul’s Flight takes the reader on a metaphysical journey through poetry that expresses a family’s grief over their mother’s death. Five Magpie Press: ISBN 978-0-9784757-0-3. Rusti Lehay, Nancy Mackenzie, Julie C. Robinson, Myrna Garanis, and Anna Mioduchowska. 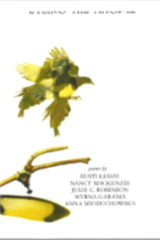 Nancy has digitally produced chapbooks of her own poetry; and through a Cultural Capital of Canada grant, collaborated on recording a cd and publishing a book of poetry, both called Eyeing the Magpie, recorded at Faculté St. Jean. 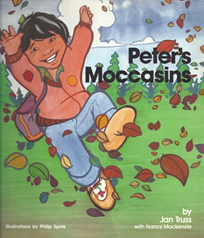 Peter’s Moccasins, by Jan Truss, with Nancy Mackenzie. 1987. Reidmore Books. Nancy Mackenzie’s poetry touched me immediately. Her poems triggered visual stimuli and memories registered in my subconscious mind. The colour, textures and patterns of her words fill my imagination. © 2016 Bronze Horse Communications.